05 Jan Is it worth it to invest in wearable technology in the new year? So you’ve made your New Year’s Resolution. More exercise. More sleep. Fewer calories. Who needs to pay for an expensive trainer, health coach, or sleep specialist when there are so many gadgets on the market today that can hold you accountable. Monitoring sleep is a major incentive for people to purchase these devices so I decided to help you weigh the pros and cons before you invest. 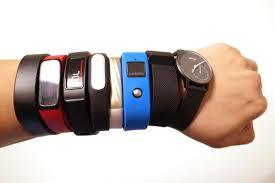 Many people choose to purchase a wearable because they want more information about how they sleep. The ability of wearables to measure sleep accurately has historically been fraught with inaccuracies. The number of studies comparing commercial grade wearable devices to medical grade accelerometers (e.g. actigraphy) and to the gold standard polysomnography (PSG) (a sleep study) has skyrocketed over the past few years. The data is still mixed on Fitbit and inaccuracies persist (with total sleep time being overestimated and underestimated), but the Fit Bit Charge has performed fairly well in its measurement of sleep patterns compared to actigraphy. The ŌURA Sleep Tracker also compared quiet well to PSG. There is still room for improvement. If you are a good sleeper, wearables can be accurate for some measures (see above) but may not be so accurate if you have sleep or mood disturbance. When the Fit Bit Flex was compared to PSG it was accurate in measuring sleep patterns in normal healthy sleepers, but not in study participants who had insomnia or major depression. Some devices are a bit misleading when informing the user about how much “light” or “deep sleep” they get. One study compared Basis Health Tracker, Misfit Shine, Fitbit Flex, Withings Pulse O2, and an actigraph (Actiwatch Spectrum) to PSG. All were good at picking up total sleep time, but not “light” or “deep” sleep. The only wearable that seemed to be able to accurately pick up “deep sleep” compared to PSG was the Basis Health Tracker. In a recent report about sleep measurements by FitBit, sleep scientists emphasize just how much normal motor activity occurs during the night that the user is typically unaware. Because of this, it’s important to remember that the wearable device might underestimate how much sleep actually get. Wearables can definitely provide data about our health that can be important to communicate with our doctor. But who should help guide us between visits? Unfortunately, doctors are strapped for time. Primary care physicians are busier than ever these days and in some cases are only able to spend a few minutes with each patient. It may be difficult to fit in your questions about the data from your wearable, when you also have to discuss other health issues like medications or a new pain you’ve discovered in your side for example. In this situation, finding a support from a health coach or other allied health provider might be helpful. A health coach might be someone to provide support, perspective on your wearable data, or help you maintain your health related goals between doctor’s visits.